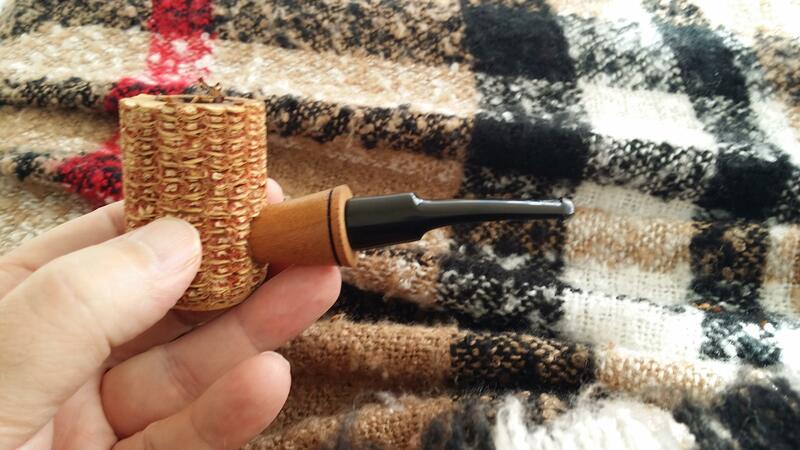 Another first time smoke for me; Uhles 00 in this Custom Cob. This is just some incredible burley goodness...jiminy. Same pipe, but this time burning another first; Uhles 300 Blend. I think my eyes are rolling completely around in my head, I like this so much! Having some PA in a Westbrook Bulldog that I got from Thelonious monkfish. Finally found my pipe stuff box and am sitting here smoking, drinking a beer, and admiring it all. Its friday night . The kids are insane as usual . Joseph's has been playing Cream tunes on his Epiphone Las Paul and now Anthony has put down his bass to record some trumpet thing he has to email his teacher before midnight ... God only knows . Not only a good Pizza shop, but you also have a good Drug/Gun Store in McCaysville After my brother passed almost 2 years ago my sister in law moved there to be near her Daughter. She will be building a new home in Copperhill next Spring. I haven't had the Pizza from that shop, but I have had Catfish from Pat's Kountry Kitchen. Yes guys, McCaysville has a combo Drug & Gun Store. Gotta love our small towns!